Thanks to those of you who made it out to our latest speaker event on Tuesday. 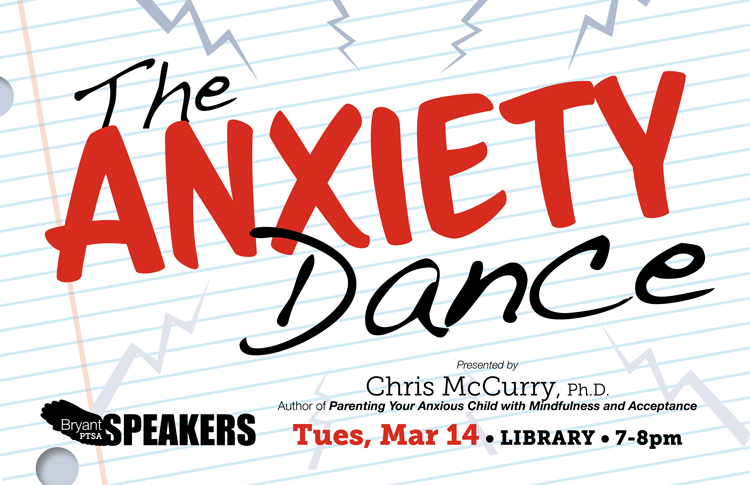 Chris McCurry shared the possible origins of anxiety in our kids and techniques for recognizing and coping with it. If you missed it (or your notes are incomplete!) download some of his information here. Noted expert Chris McCurry, Ph.D., is a clinical child psychologist in private practice at Associates in Behavior and Child Development, Inc. in Seattle. He is the author of Parenting Your Anxious Child with Mindfulness and Acceptance published by New Harbinger. The origins of child anxiety in biological factors (temperament, brain development) and early experiences, especially social experiences. The ways a child’s fearful and anxious behaviors function to communicate distress and compel the parent to come to the child’s rescue. Strategies for making this process or “dance” work better: clearer communication, mutual respect and cooperation, better problem solving and coping. When to start the conversation. Minimum of 10 kids is required. Sign up for LASER babysitting here. ← Got the chops to be Bryant’s Playground Supervisor? Paid position available!